Alfonseca’s bad year may have been overshadowed by his 8 saves during the time the Phillies were without a closer. Although he converted 8 saves, he blew 5. 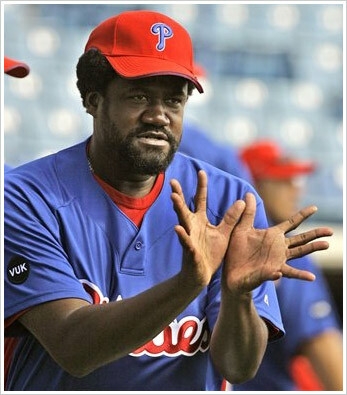 Known as El Pulpo for having 6 fingers on each hand, Alfonseca took over the closing role for the Phillies when Tom Gordon and Brett Myers were injured. In 49.2 innings, Alfonseca had a 5.44 ERA and 1.85 WHIP. Opponents batted .314 off the right hander. His strikeout to walk ratio was just 0.89. Alfonseca must not of liked pitching during the day. During day games he had a 7.20 ERA. 2007 was the last season Alfonseca pitched in the majors.